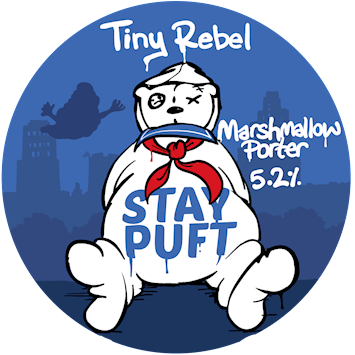 This marshmallow porter has the classic roasty qualities of a proper dark ale, whilst the marshmallow gives it a smooth sweetness, both combining for a delightful, S’mores-like ale. A marshmallow Porter that is out to get your tastebuds. The Aroma draws you in with smoky malts and light hops intertwining with sweet marshmallow and making it irresistible. The taste is sweet but not too sticky and not just sweet – the malt and hops really give this an earthy savoury note to draw the beer out of being a sweet novelty and into being an excellently crafted brew.